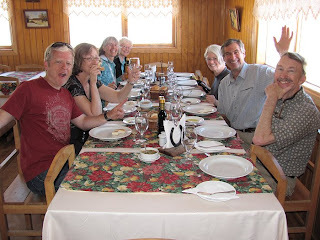 Mountain Hiking Holidays Blog: We're in Chile! Successful border crossing from Argentina into Chile at Cancha Carrera! Our first meal in Chile!